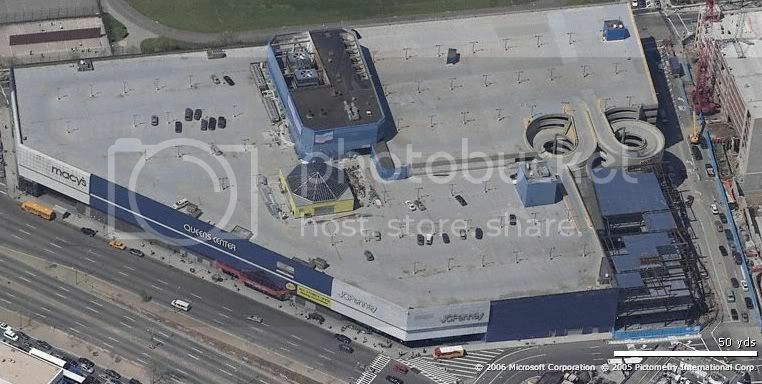 I want to see examples of big box chain stores that are built in urban areas. There are quite a few good examples out there of chain stores, especially places like Target and some supermarkets that actually fit well into the urban fabric with storefronts built to the street with minimal surface parking. 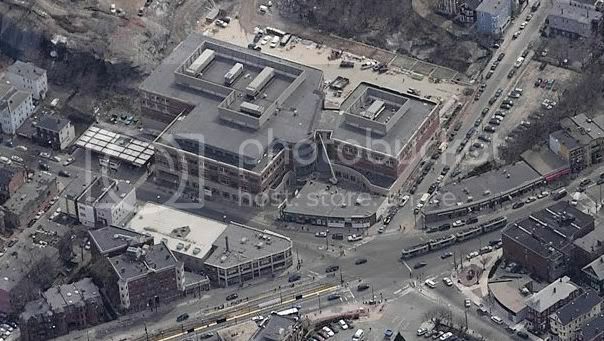 Here's another Stop and Shop in Boston, adjacent to a light rail line (Green Line E Branch). what else is in that stop & shop building in boston? Cotuit will know for sure, but I think theres a Walgreens and maybe offices or apartments on the upper levels. We have a new Target that has a parking garage underneath. I'll try and snap a picture of it soon. It has the cart escalator that you find in Ikea. 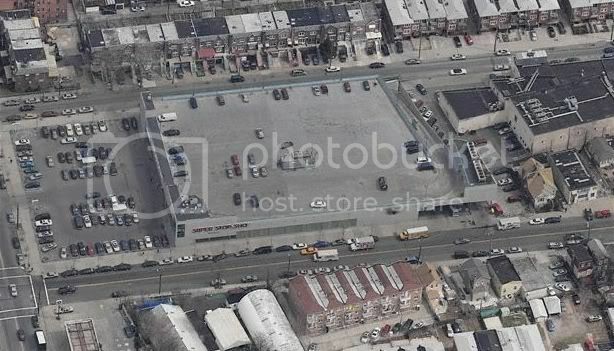 It's not the most urban thing but they did cut back on the surface parking with the underground garage. And it IS within city limits. 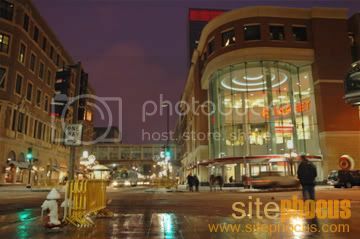 This is about as urban as it gets - Target in downotown Minneapolis. Some urban malls, starting with the Queens Center Mall. Looks like an expansion is underway in this picture. I like the spiraling ramp into the garages and onto the roof parking area. 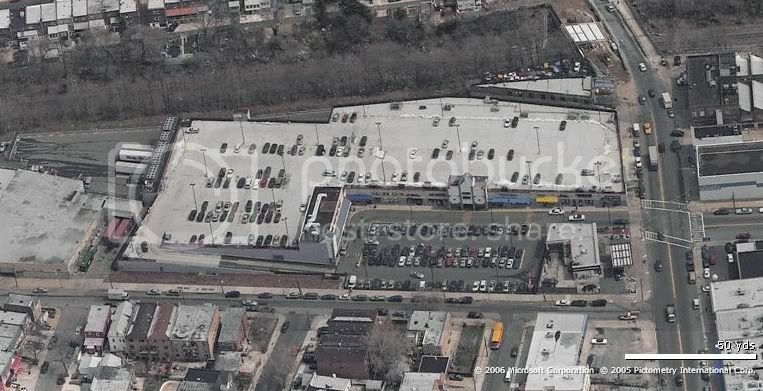 The reason I started this thread is because I want to be able to show local communities that they can have their big box stores and even have them pretty auto-centric without having to build the massive parking lots that are usually in front of them. Big boxes can cater to both pedestrians and automobiles at the same time, and more than adequate parking can be made in much less space than is the norm in suburbia! Bzorch, what state are those in? 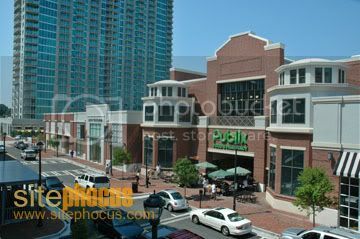 The Publix @ Atlantic Station is in Midtown Atlatna. The previous post are correct. 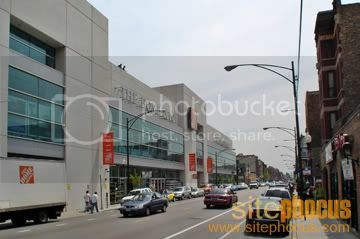 The Home Depot is in Lincoln Park, Chicago, Illinois.